Preview of the Bay Area Tattoo Convention Special Issue. Coming soon. Convention photography by Jake Ricker. My name is Nomi Chi. On the Internet I go by Lizard Milk. I was born in Toronto, Canada, in 1989. My family moved to Vancouver, Canada—where I currently live—when I was very young. My dad was a graphic designer and avid outdoorsman, my mom a bookstore owner and hobbyist-activist. I grew up mired in nature, picture books, and colourful, intense people. Up until very recently, I was a committed introvert, especially during my formative years, which allowed me to incubate an art practice at a fairly young age. My family didn’t always have money, but they tried to be supportive, even when I began dabbling in questionable endeavors like leaving home at 16 to tattoo out of my then-boyfriend’s kitchen. Currently I am a resident tattooer at Gastown Tattoo in Vancouver. I’ve worked at two other studios in Vancouver, and spend a good quarter to third of my year traveling. Including my scratcher period,13 years. As a teen, I knew I wanted to have a visual arts practice, and at the time tattooing was entering mainstream cultural outlets via TV shows and some music culture—that’s possibly when the seed may have been planted. I also had an affinity for what seemed to be subversive artworks and art practices, so maybe it was only a matter of time. 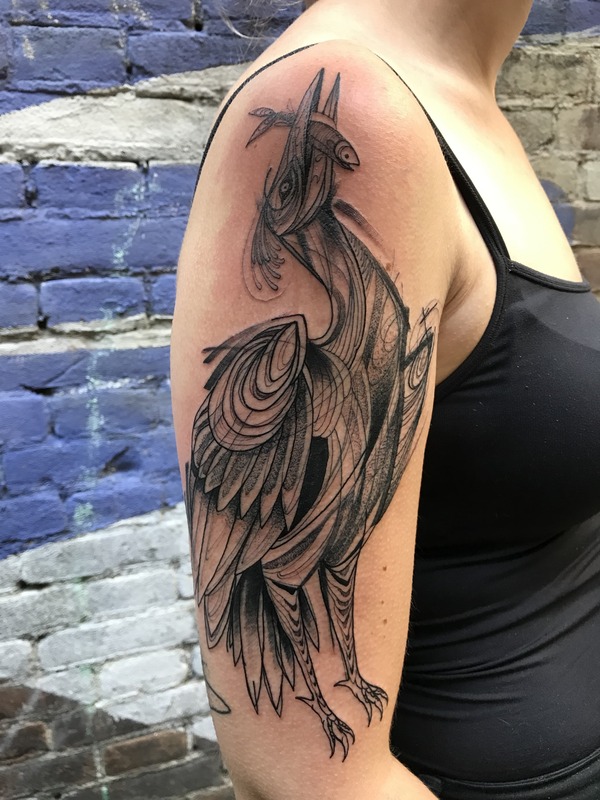 My mom took notice of my interests and actually dragged me around the city and made me talk to tattooers about apprenticeships, much to their and my chagrin. We ended up talking to a fellow in my neighbourhood who was tattooing out of his apartment, and he ‘hired’ me as an apprentice on the spot. My apprenticeship was simultaneously traditional and very unconventional. I built needles, tuned machines (poorly), hand-made all of my stencils and set up for my mentor’s appointments. 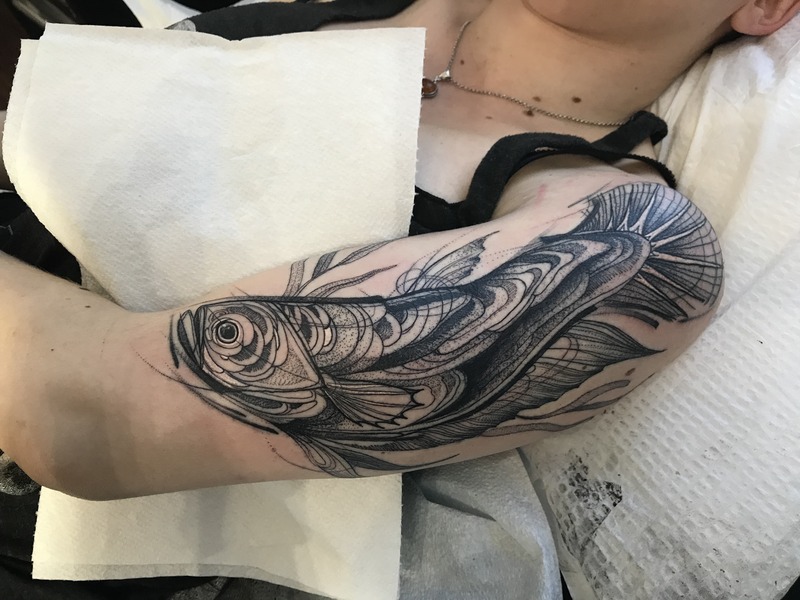 It was also expected of me to develop my own aesthetic voice and ethos/relationship to tattooing, as far away from traditional American tattooing as possible. I believe my mentor had good intentions, and he was an interesting person—but he was also a bad person, and a bad teacher. For most of my tattoo career I struggled and did not feel like I had much of a support system. The majority of what I know is self-taught, or is picked up from folks I’ve worked with locally or internationally. I started my BFA in the middle of my tattoo career. My degree is in illustration, but my program was structured to kind of encourage a multidisciplinary praxis. Definitely not. But it profoundly changed the way I make and consume images and culture as a whole. 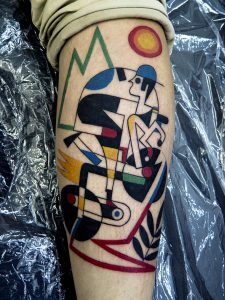 My tattoo style in its current iteration is an exploration in action and texture—I try to depict subjects in a state of movement and/or deconstruction. I put emphasis on my search for different textures or mark-making approaches: in terms of subjects, I am interested in figuration, chimeras, and imagery which might allude to social justice narratives. My influences are really all over the place—but I often look at art deco advertisements, Hokusai, Allison Sommers, Allison Schulniuk, Yayoi Kusama or Louise Bourgeois for inspiration. Is traveling to conventions and other industry events important to you? Which conventions do you usually attend? Do you have any interesting experiences that you can share? I don’t go to conventions very often as I feel more comfortable either at home or doing guest spots. Conventions offer the chance for me to meet and talk to some of my heros in person, or maybe examine tattoo machines; otherwise, I find them extremely overwhelming. 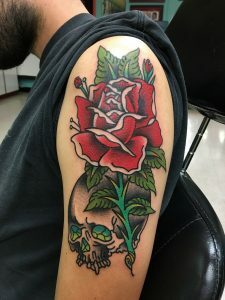 Do you find that the types of clients you tattoo differ based on whether you’re working in your home studio, doing a guest spot, or tattooing at a convention? If so, how? No—I honestly find the same eclectic mix of clients at conventions, in my home studio, or guesting. If there’s any variation in clientele, it is due to the social/geographical context of the studio or convention. opinion, is the importance of this event? 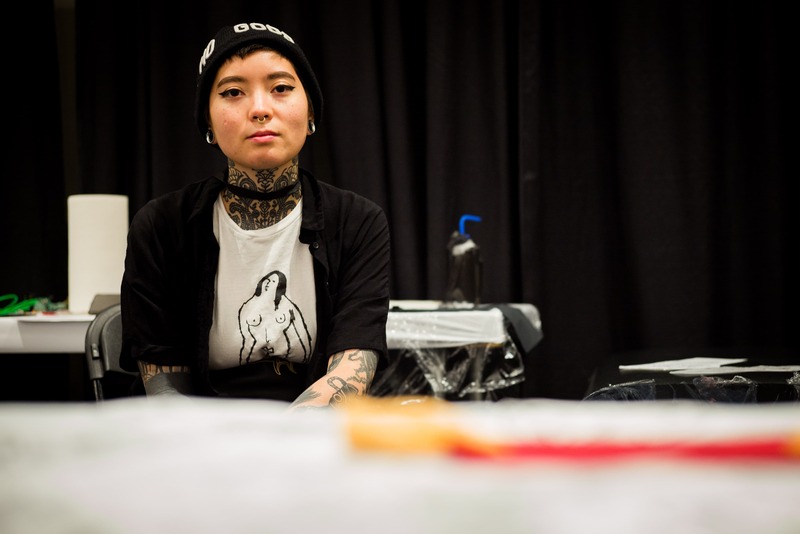 There was a palpable sense of community among the tattooers and vendors at the convention. 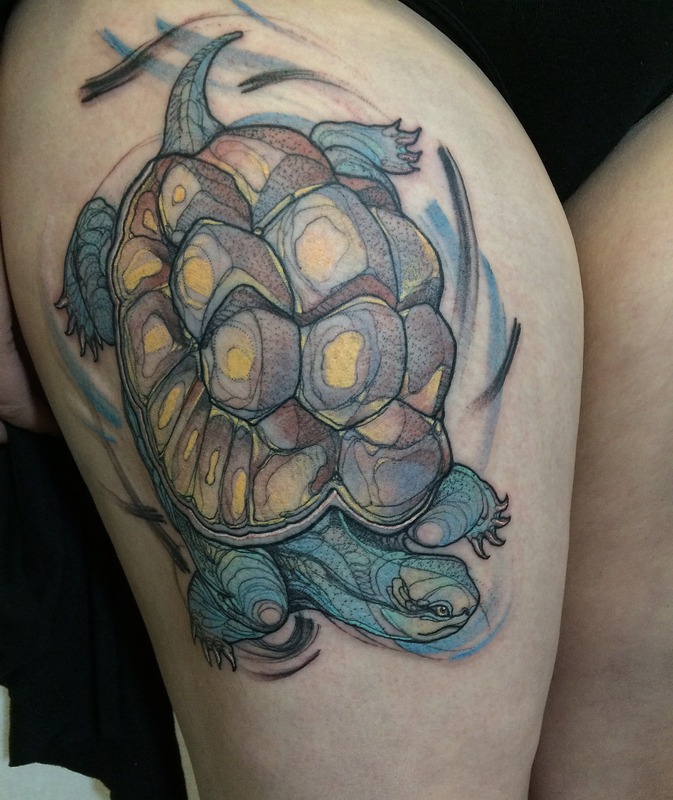 My partner came to tattoo with me, and we noticed tattooers were extremely welcoming and happy to see each other. 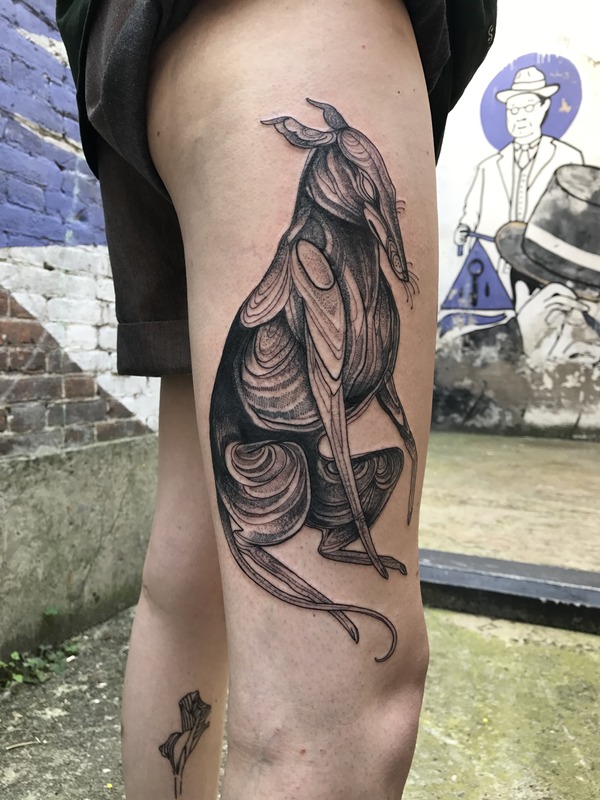 I see my work as something that exists parallel to traditional tattoo practices, so I’m often wary of traditional tattoo spaces or even events where there are a lot of trad tattooers. But my partner and I were welcomed warmly, by Taki the organizer as well as many of the other tattooers and vendors there who didn’t know us. There was a distinct and refreshing lack of inane performers, vendors, or tattoo contests. It really felt like the whole event was structured to facilitate tattooers and a sense of camaraderie, rather than the consuming/selling of tattoo experiences. Sometimes I respond to emails. Where can we find your work online? What are your handles on social media? On Instagram you can find my tattoo work under lizard__milk, my non-tattoo work can be found at nomi_chi. My portfolio is at www.nomi-chi.com. I make paintings, drawings, and 3D works, which are all important parts of my practice. There are a few things: there is a palpable tension between a generation of tattooers whose work comes from a traditional American electric context (there are a lot of ‘young’ tattooers espousing the same values and coming from similar lines of thinking; it’s definitely not just an ‘older person’ thing) and a generation of tattooers who came into tattooing through perhaps more unconventional means, often aided by the accessibility provided by the internet and social media. Alternatively, I worry about the future of tattooing as a sustainable practice, and I worry about having such a specific set of skills in the face of late capitalism. 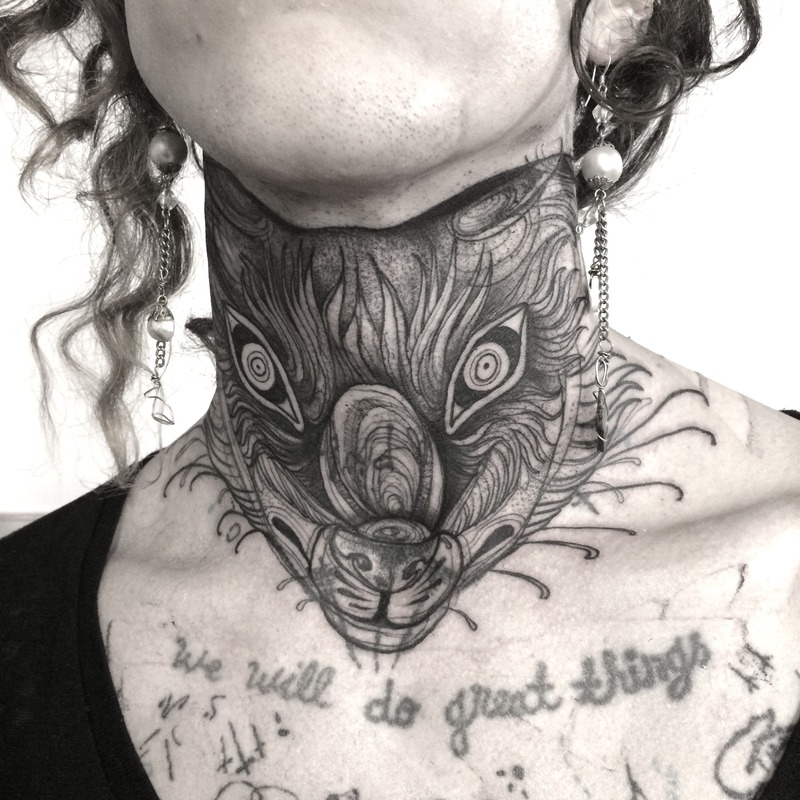 I would like to see different facets of tattoo culture exist beside each other and have respect for one another, without needing to hold similar values or similar aesthetic choices. Knowing people, I’m really not so sure. See similar articles and much more in our special online issue covering the 2017 Bay Area Tattoo Convention. Coming soon.